Former Stanford University literature professor Michelle Karnes has added her name to the list of women who've allegedly been victimized by the school's much critiqued policies on sexual harassment and assault. In an interview with the Guardian, Karnes recalled how Stephen Hinton, a senior staff member in the music department, aggressively pursued her, despite the fact that both were married and she had rejected his advances. Karnes said she reported the behavior to Stanford's administration, and eventually Hinton was cleared and she was punished: Her husband, Shane Duarte, was let go from his position as a philosophy lecturer, apparently without explanation from the school. According to Karnes, Hinton — a prominent music professor who is 20 years Karnes' senior and who played an active role in her 2008 hiring — began inviting her to lunch, which initially seemed innocent enough. But in July 2012, Hinton told Karnes he was "tormented" by his "crush" on her, the Guardian reported. At one point, he kissed her on the lips and, although she turned him down, Hinton began showing up at the gym when she was there. She told the Guardian the situation made her so uncomfortable, "I just wanted to crawl out of my skin." This is not how Hinton tells it. He wrote to the Guardian to say he'd only tried to "clear the air" and painted the mouth kiss a mutual accident. Stanford University has recently found itself at the center of a number of sexual misconduct controversies. Stanford spokesperson Lisa Lapin told the Guardian the university had done a "thorough and objective review" of Karnes' complaint. Their outside investigator, Christine Helwick, said Karnes was "more credible" than the Hinton, but he hadn't sexually harassed her, although he had made an "unwanted sexual advance." While Karnes was granted tenure in 2015, Stanford did not invite Duarte back for 2016. They found this suspicious, as they had always received positive performance reviews and had been hired as a couple. To them, the decision read as retaliation for Karnes' claim. The two have since accepted positions at the University of Notre Dame. 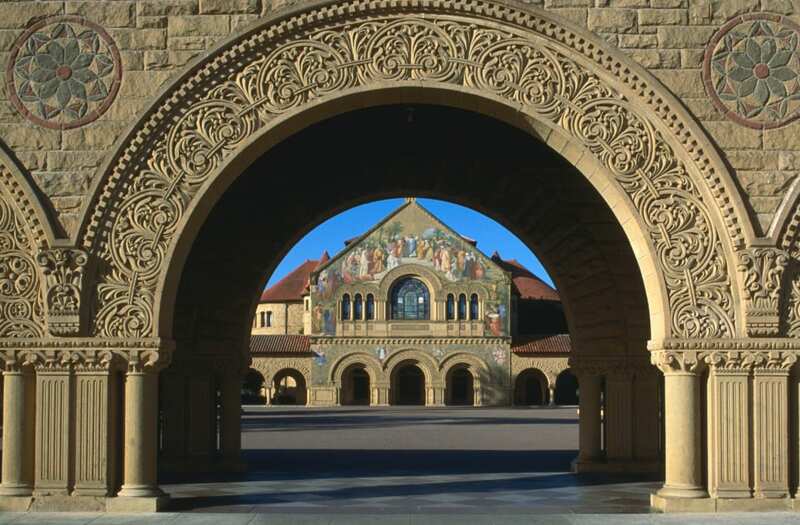 The Office for Civil Rights is conducting four Title IX investigations into Stanford's handling of sexual harassment and assault allegations. It faces a lawsuit for having ignored the presence of a "sexual predator" on its campus. BuzzFeed recently reported that the university tried to silence two women whose sexual assault reports had prompted OCR investigations, offering them money in exchange for the withdrawal of their complaints. In an email to Mic, Lapin denied that claim, saying Stanford made every effort to improve its response to sexual misconduct allegations. Yet Karnes told the Guardian a settlement was suggested in her case too, and that money likely would've come in exchange for the couple's silence.